Bucars offers a wide selection of both new and used RV’s in the Calgary area. We know that the needs of RVers varies based on the adventures ahead of you this is why we offer several different RV body styles. We offer new and used Class A Motorhomes, Class C Motorhomes, Diesel Motorhomes, Fifth Wheel Trailers, Travel Trailers and Park Model Trailers to Calgary and area RVers. At Bucars in Calgary we can accommodate campers looking to get into their first trailer or those looking to upgrade to a Class A Motorhome. Whether you have a small budget and looking for a trailer to take out on your weekend adventures or a large budget and looking for a motorhome to take on long road trips we will have an RV that is right for you. Have you been considering purchasing an RV but still aren’t sure if it is for you? Bucars has experienced and professional RV specialists that can show you RV’s that are perfect for your family and the camping you are looking to do. The right RV can transform the camping experience for a Calgary camping family, it can provide freedom, convenience and comfort. There are many advantages to owning an RV starting with the affordability it offers when travelling. It is much more cost efficient to take your next vacation in an RV than staying in hotel rooms, paying for flights or eating out for all of your meals. Another great advantage when travelling in your RV is that you get to create your own adventures. When travelling in an RV you are not bound to itineraries or travel schedules you can let the open road inspire you. Finally one of the most important advantages of owning an RV is that it allows you to experience nature. Almost all of the places you will travel to with your RV, whether it is campgrounds, recreation areas, or off the beaten path will be surrounded by wilderness. 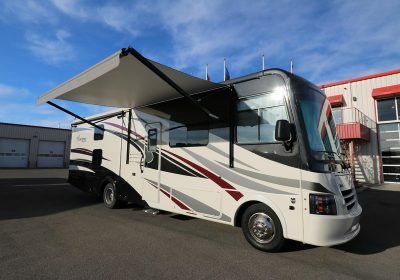 If these are the aspects you have been looking for in your vacations than it is time you visited us at Bucars in Calgary and start your RV lifestyle.